This week our local Pupil and Parent Engagement Manager, Emma, led a range of healthy eating initiatives over 2 days at Stanford Primary School. We kicked off the first day with a whole-school assembly, introducing the topic of healthy eating using the Eat Well Guide to illustrate what it means to eat a ‘balanced diet’. Pupils from all year groups were eager to put up their hands and answer questions! and figures pupils were able to recall from the morning – they certainly proved they’d been listening! 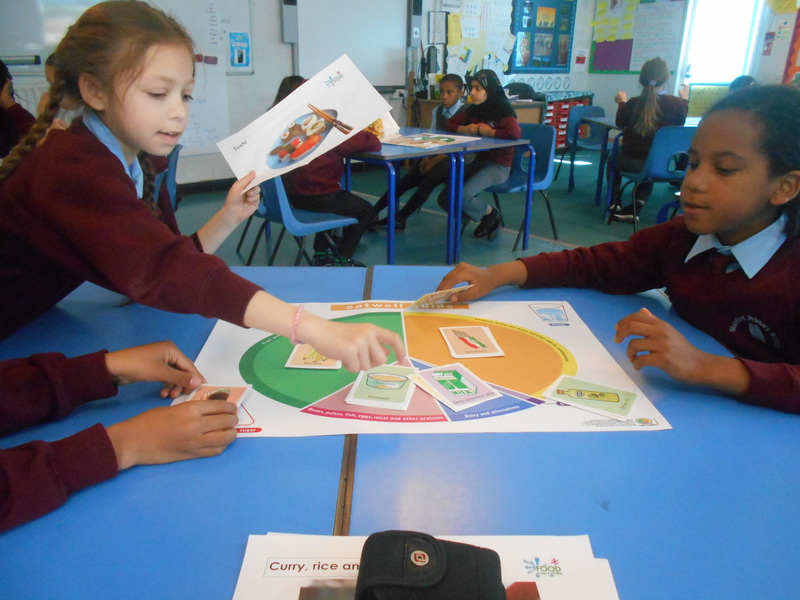 The classroom workshops ranged from storytelling with fruit and vegetable tasting with the Year 1’s, designing healthy plates with the year 3 and 4’s, to sugar calculations and reading nutrition labels wit the Year 5’s. A huge thank you to Mr Riedel, Science Lead at the school, who helped ensure the smooth running of the event. We look forward to returning to Stanford Primary School soon to lead further sessions with both pupils and parents.